Just over three hours’ drive northeast of Perth is the Wheatbelt town of Koorda. The predominantly farming community dedicates itself to growing wheat, coarse grains and sheep. 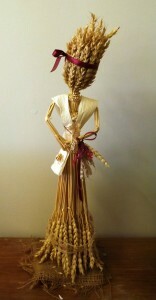 Corn dollies are an ancient craft practiced in many cereal growing area worldwide. The art of corn dolly making was brought to Koorda by Mr Frank Lodge who in 1911 made a simple countryman’s favour which was adopted as the Shire Emblem in 1974. Visit the old hospital, now the town museum, for historical displays of farm machinery and hospital equipment. Community and family artifacts are also on display. Mollerin and Newcarlbeon rocks are located north of town and during winter and late spring have a picturesque display of wildflowers and beautiful panoramic views from the top of the rock. They both have picnic and camping facilities including toilets. Early in September, Koorda hosts its annual Agricultural Show, which brings together past and present residents, along with a large number of visitors. The show features many agricultural events and displays, including the ‘corn dollies’, the emblem of the shire. Lunch available from Monday to Friday from 8am – 1pm. Opening Hours: Monday to Friday 7.30am to 5pm. Closed weekends and public holidays. Reliance fuel card holders and EFTPOS are available on the after hours service, no LPG available.